As a big THANK YOU! to everyone who donates, we will send you an email report after the workshop series with what was shared, what we learned, and what’s next! So, even if you’re unable to make a workshop, you’ll still receive a part of each class. Our local sponsor, The Sprout Fund, will match your donation up to $1,000. Your contribution is greatly appreciated! Monthly workshop series beginning in September through December 2015. Arrive early and grab a warm tea latte, or enjoy a handmade sandwich, to support our local venue for hosting these free micro-workshops. Limited seating to 12 people, first come-first serve basis. Pittsburgh Retail worked with community groups on the Northside of Pittsburgh to bring another year of Cedar Arts Market to Allegheny Commons East Park. With the help of a supporting grant we were able to sponsor and introduce the first Pittsburgh VegFest this past August. When offered the opportunity to raise funds for an extension of the program, it was a great time to begin a different series of events that offered skill-sharing for organization and fundamental bookkeeping by using the best available mobile and tech applications out there. Micro-entrepreneurs aren’t a new thing, what is different though, is the latest technology. Now more than ever are individuals easily able to make a quick investment with rewarding outcomes. Software companies are releasing new partnerships daily that overlap functions to streamline user access, time, and return value on often free programs. That is where CAM’s new series, Growing Micro-Entrepreneurs, is focusing on and highlighting specific applications, benefits, and tips to streamline the back-end of your retail business. Hey Baby! Boutique owner, Karyn Pope, who creates, markets, and sells her wares throughout Western Pennsylvania has set up a system based on her knowledge and past experience as an accountant. 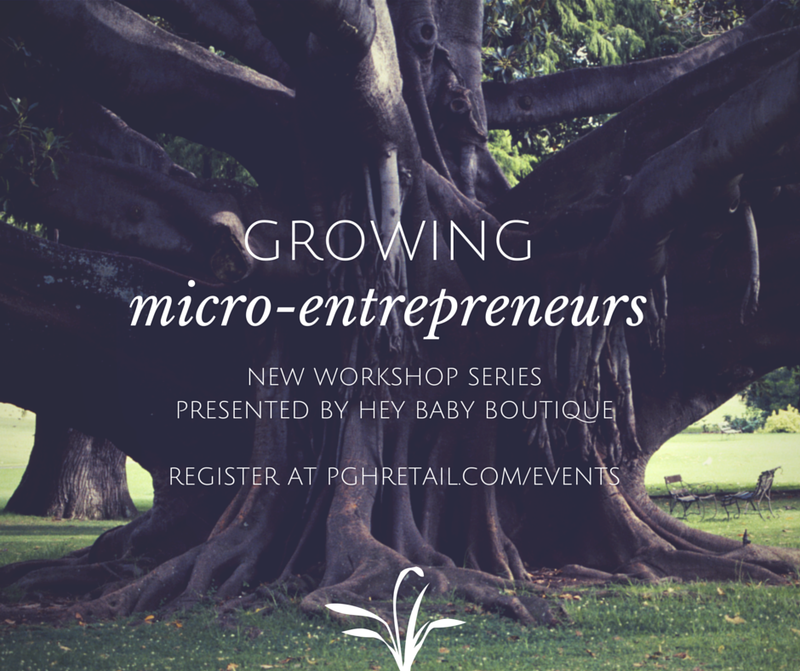 These workshops are open and free to the public, are intended for beginners and seasoned retailers. If you are new to, or interested in learning more about, mobile POS systems, preparing business taxes, utilizing applications and updated features of favorite office tools like, Google and Excel, then this workshop series is for you. Featuring Layar, a scanning app for print media, adding more digital layers to your shopping and reading experience. 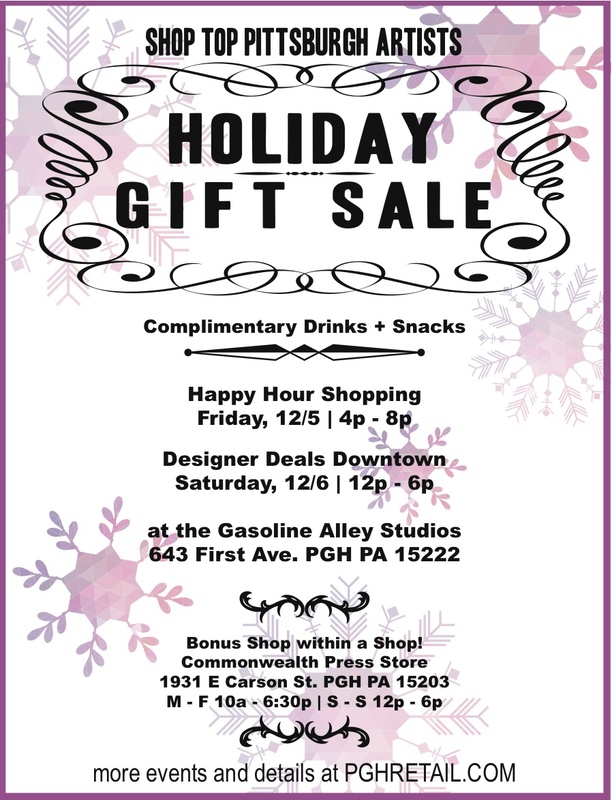 We were excited to try out our print advertising for Designer Deals Downtown in the November and December editions in the first local magazine in Pittsburgh, and nationally, to use this new technology in their printed media. 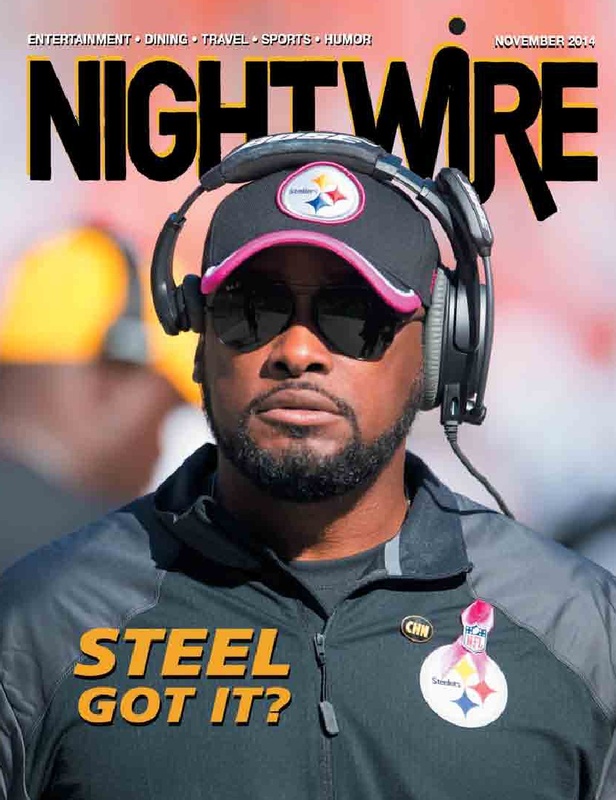 Find NightWire every month at a local distributor and download the app to view more to the ads: videos, websites, and deals! Want to know more about how to use this new technology for your retail business? Email pghretail [at] gmail.com for your first free consulting meeting. PGHretail is delighted to work with Second Shift Crafters, a new local shopping event group, bringing makers, bakers, crafters, designers, and artists to your neighborhood. Their first show is on Small Business Saturday, November 29th from 12:00p – 6:00p featuring 30+ crafters, bands, Maggie’s Farm Rum, Most Wanted Fine Art, East End Brewery, and kids activities! We’ve been working on putting together some holiday events beginning Small Business Saturday. As we firm up details, stay tuned here, on Facebook or join the newsletter for vendor applications and more!